The whole thing can be a real headache, especially if you need to transfer data between Apple and Android devices. With iTunes, you get broad data-syncing options that often prove tough to navigate. It’s easy to miss an album, file or category, which means a lot of poking and waiting around until you’ve got the data you want. There are other ways to transfer phone data, all of which offer varying levels of reliability. You could use a cloud service like iCloud or Google Drive to manually move data between devices. But that’s a painstaking process, and there are several types of data you can’t move this way. Various third-party apps offer more control, but they are often more complicated or less reliable. They can crash and generally make your phone misbehave. Moving files between an iPhone and an Android phone is simple with iSkysoft Toolbox. What you want is a solid app to handle data transfer phone to phone. iSkysoft Toolbox – Switch is that app. It offers support for phones provided by all major carriers like AT&T, Verizon, Sprint or T-Mobile. Contacts, music, messages, voicemails, notes — you can transfer all the important data to your new phone in one click with this app. A clean interface makes transferring files a straightforward task. Launch iSkysoft Toolbox – Switch and you’ll see a clean, clear menu with all the tools laid out. 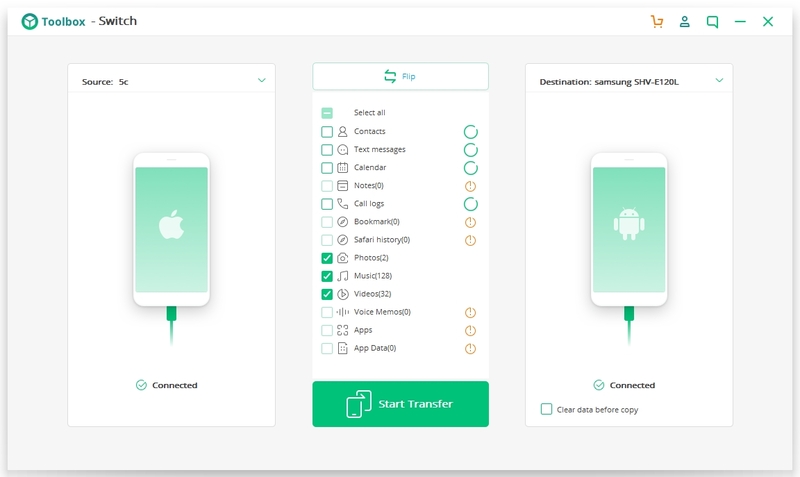 Connect the old and new phones to your computer, and the app automatically reveals all the files you can transfer. If you want to switch source and target devices, just click “flip” to reverse the flow of data. Select the files you want to move, click “start transfer,” and wait for the popup window to tell you when it’s done. That’s all there is to it, regardless of the make or model of either device. For mobile transfer, it doesn’t get any easier. Additionally, iSkysoft Toolbox – Switch provides powerful tools for unlocking, repairing and recovering your phone, along with the ability to erase and back up files. Moving files around was never this easy! 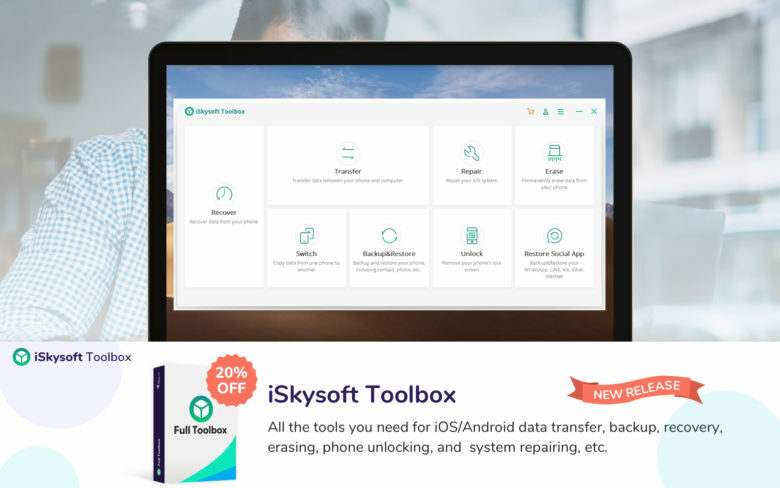 If you’re looking to move files between iPhone and/or Android devices, iSkysoft Toolbox – Switch is a powerful, reliable and easy-to-use option. Even better, Cult of Mac readers save 20 percent on a license by using coupon code LENTBOX at checkout.